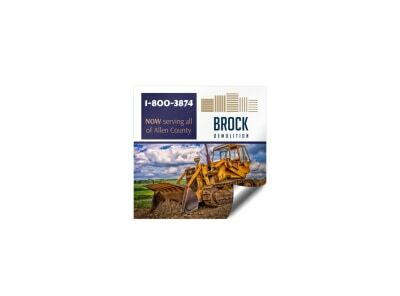 Ensure vendor catalogs loaned out to clients make it back to you and eliminate any ambiguity when submitting a bid in a non-descript folder by affixing custom-designed construction stickers to all your outgoing material. Our designers have been hard at work building a variety of construction sticker templates that get the job done. All that’s left for you to do is the finish work – a little trim here, a little touch-up here, and our online editor will have you ready to print before the paint dries!